You can use MindSwarms on your iPhone! Download the Mindswarms App and create an account. 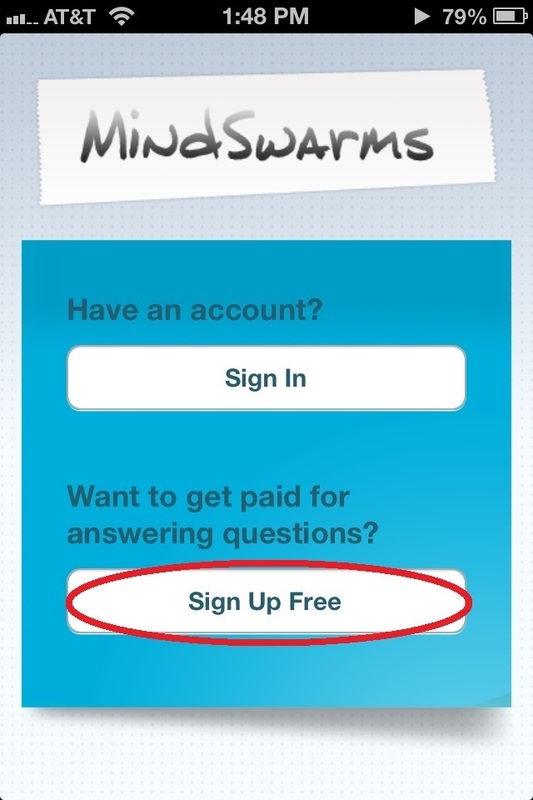 Once the MindSwarms app is downloaded, open it and select “Sign Up Free." Enter your information for your account. When you get to “Country,” click “Done” to close the keyboard so you can see the scrolling menu. Select your country and close the scrolling menu, and continue entering your account information and click “Sign Up” to create your account. Select “Record Your Profile Video” to record a sample video to let researchers know more about you. Watch the introduction video and click “Record Your Response.” Hold your phone horizontally in landscape mode, and click the red dot on the right and record your response. Click “Use” when you have completed your video. Once you complete your sample video, you can click “Studies” and begin applying to studies! Click the “refresh” button to see an updated list and select studies to apply to. The “Uploads” tab will show the videos responses you have submitted, while you can change account info from the “Account” tab. Thanks again for using MindSwarms!